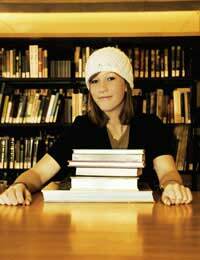 Studying abroad is a gap year option to which any student should give serious consideration. Not only does studying abroad allow students to take classes and courses which may not be available at home, but these courses can lead to external qualifications, count toward degree programmes, and offer students a chance to work with experts in their chosen fields. Prospective employers look fondly on students with the initiative to successfully complete study abroad programmes, and a little extra education has never hurt anyone. Still not convinced that studying abroad is a great way to spend a gap year? Just consider all of the new student centres to explore! Why Explore a Study Abroad Programme? What Happens During a Study Abroad Programme? Conducting archaeological research in China. Contributing to medical research in Canada. Honing cookery skills in France. Practicing spoken Japanese in Japan. Researching marine life in the Caribbean. Performing as part of a theatre troupe in London. Qualifying as a beauty or holistic therapist throughout Europe. Becoming certified to scuba dive in Australia. How Do I Find A Study Abroad Programme? Securing a place on a study abroad programme will be most successful by working with an established agency. Prior to selecting an agency, decide your interests and your budget, and do not hesitate to ask questions while you are booking. If you are unable to find a programme in a country that with which you are interested with one agency, chances are you will be able to find it, or something like it, with another. Studying abroad is an excellent, impressive way to spend a gap year. Colleges and universities will be impressed with you initiative, future employers will be impressed with your independence and responsibility, and you yourself will be impressed with all that you accomplish. If you feel that a studying abroad might be the best use of your gap year, don't hesitate to investigate your options. Good luck!